Centre for Earth and Spirit | Earth-based wisdom for deep explorers. 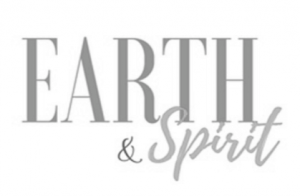 Since its inception in 2003, the Centre for Earth & Spirit Society has been offering life-affirming programs that inspire consciousness for the human stewardship for the Earth. Our programs and retreats have focused on a new cosmology, embodied eco-spirituality, eco-psychology and First Nations traditional ecological knowledge. We have also offered hands-on courses in permaculture, ecology and restoration. Reconnecting people to nature fosters a sense of peace and connectedness with each other and the natural world. Weaving storytelling, community conversations, and engaging in our collective wisdom, we remember that we are not separate from – but connected to – the earth and to all of humanity. With each passing year, we reflect upon where we have traveled from and where we are going, listening deeply to all who have followed in our footprints. In the company of our vibrant band of board members, advisors, and volunteers, we have our collective ear to the ground, listening to the emerging needs of our community. Addressing the clarion call, we turn our eye to developing rich new programs and fruitful experiences that uplift our community, and inspire participation and healing. As John gently left on his return to his beloved cosmos, he revealed a world that was a little better, a little kinder. He inspired curiosity and thoughtfulness and evoked within everyone he met, a sense of possibility and grace. His imagination was limitless as was his generosity of spirit. He blazed a trail in death as he did in life, becoming one of the first to participate in the process for medical assistance in dying. John was also one of the first to participate in Earth & Spirit’s Living Well, Dying Well – the very program he helped to design. His most cherished legacy in the final chapter of his life was the Centre for Earth and Spirit, this small NGO with its rich purpose, encouraging earth stewardship and conscious engagement through artful, life-affirming programs for participants from cradle to grave. It is here that he planted his heart and soul since 2006 with the hope that all he planted would continue to flourish long after his passing, igniting an enduring ripple effect. Our vision is BIG. The community need is even bigger. We can only do so much with what we have. Please consider a donation to help Earth & Spirit increase our community and environmental impact and help make the world a better place. Your support can help us develop new programs and experiences, forge new partnerships, and attract more volunteers. Most importantly, your support can help change lives, nurture a diverse and inclusive community and inspire ecological justice. Leave Your Mark - Give Today! Join our mailing list to receive the latest news and updates on our programs, services, community events and eco adventures. You can unsubscribe at any time with a simple click at the bottom of any email.